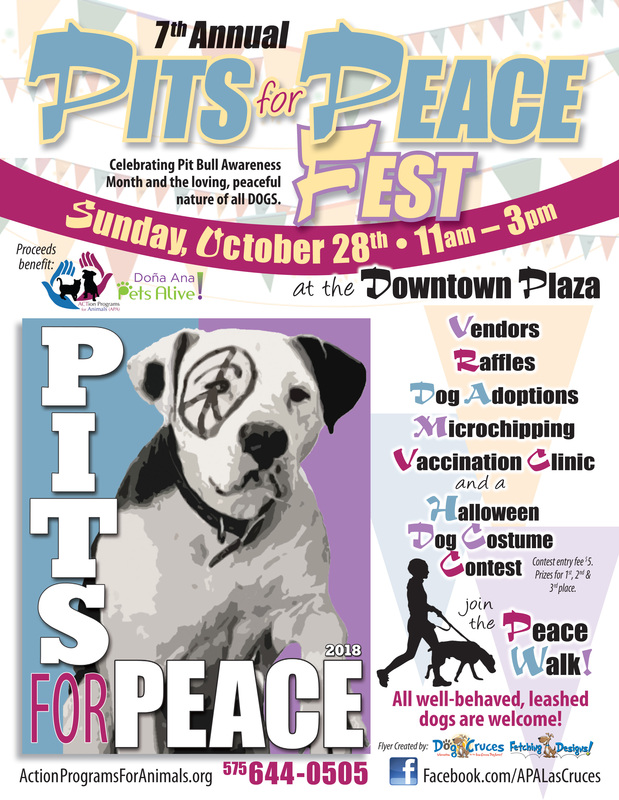 Las Cruces, New Mexico – Come out and support local rescue animals at the seventh annual PITS for Peace event Sunday, Oct. 28 from 11 a.m. to 3 p.m. The free event is at the Downtown Plaza, and all proceeds benefit ACTion Programs for Animals in its animal rescue efforts. The purpose of the family-friendly event is to celebrate pit bull awareness month and the loving, peaceful nature of all dogs. This year, the peace walk returns, and it will start at approximately 1 p.m. and go around the downtown area. All well-behaved, leashed dogs are welcome. There will also be vendors, raffle prizes, dog adoptions, pizza and a doggy Halloween costume contest. 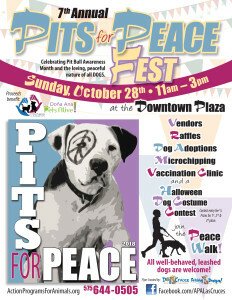 APA Executive Director Michel Meunier founded the event seven years ago in an effort to promote pit bull awareness. 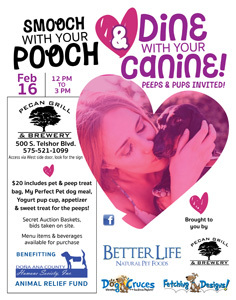 Microchipping and vaccinations will also be offered at the event. For more information, email mail@apalascruces.org or call 575-644-0505. Like us at facebook.com/APALasCruces. The APA adoption and education center is located at 800 W. Picacho Ave. and is open from 11 a.m. to 4 p.m. Tuesdays and Thursdays, 11 a.m. to 2 p.m. Saturdays and by appointment. 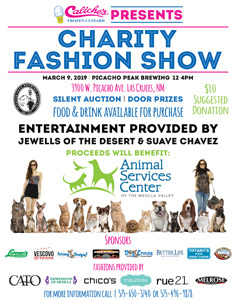 APA is a progressive animal welfare organization seeking to improve the quality of life for companion animals in Dona Ana County and greatly reduce the number of unwanted animals impounded and euthanized at the municipal shelter. Since May 2012, more than 3,500 animals have been rescued. The majority of these have been dogs and cats/kittens pulled from our municipal shelter. 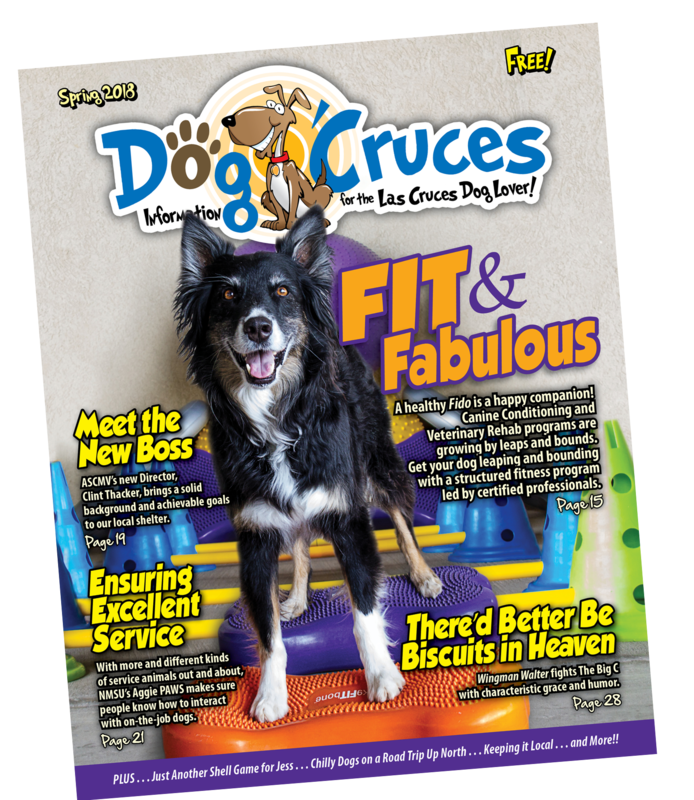 They are able to do this through volunteer work of rescue/foster coordinators, foster families, weekend adoptions, and donations. For more information about APA, email mail@apalascruces.org, call 575-644-0505 or visit www.actionprogramsforanimals.org.